Okay so what geek movies is everyone looking forward to? Avengers (sadly, I haven't seen all of the other 'Avenger' movies). 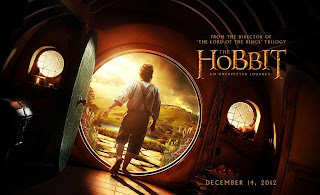 Why did I put the Hobbit down as last? Because Peter Jackson is going in a very daring direction with some extra stories and it's not coming out til December. All four of these movies I am extremely excited about though. What's come out? You guys! ;P Just razzin' ya. Sadly I'm not looking forward to The Hunger Games as I'm not a big fan.